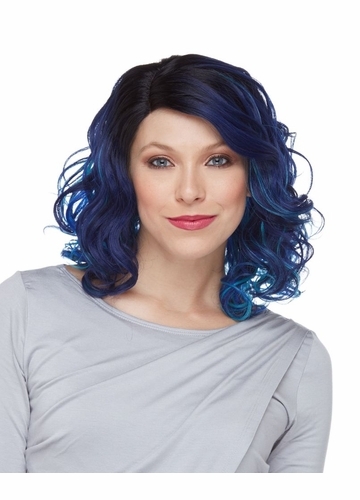 Shoulder length lace front wig with wavy curls. 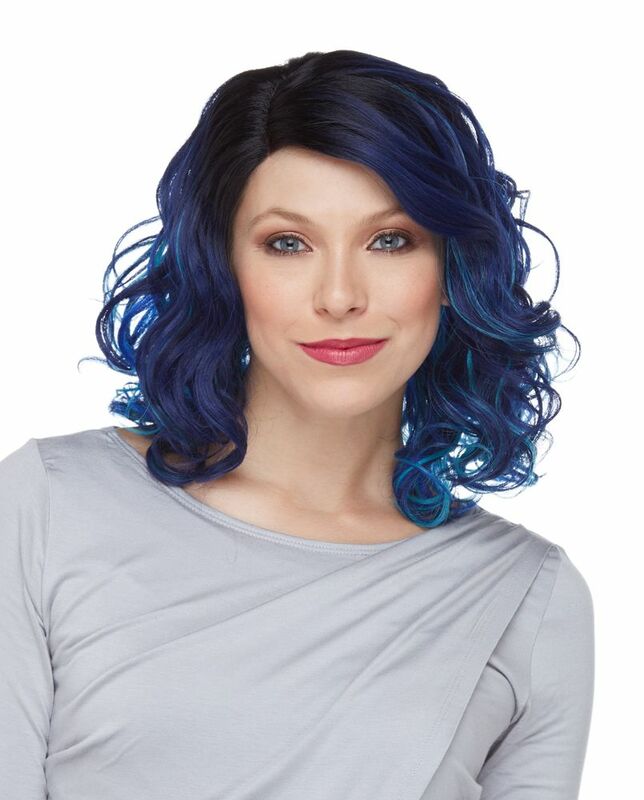 Premium quality synthetic wig with lace front design for perfect fit and secure wear. 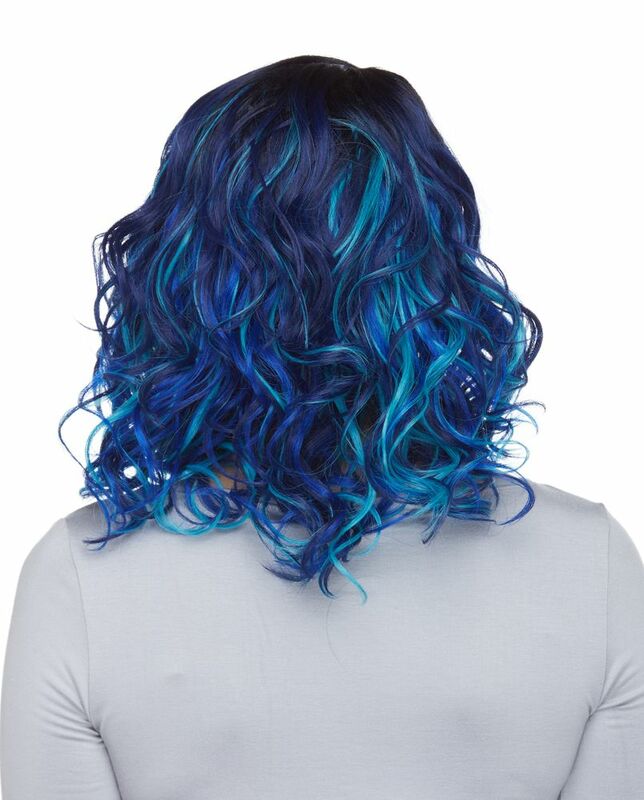 Shoulder length bob with loose wavy curl for fun volume in gorgeous professional blends. 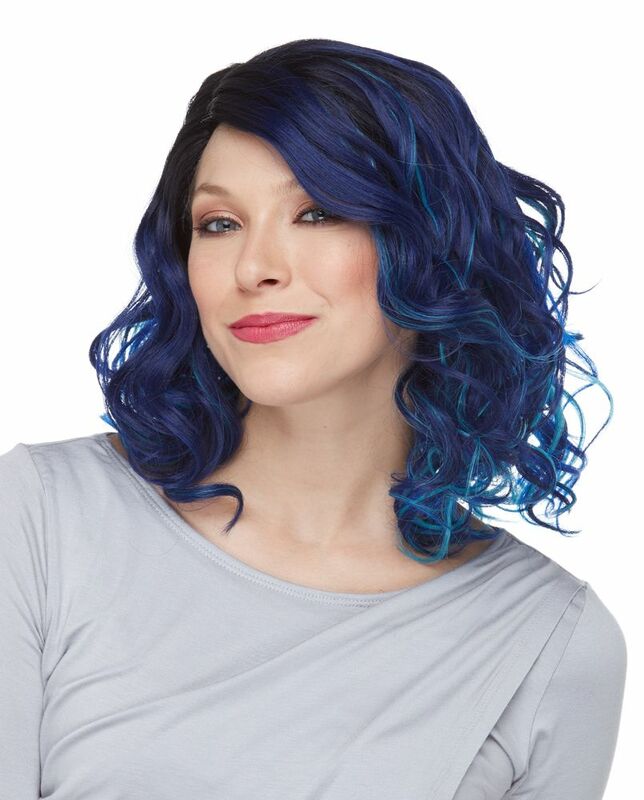 Model is wearing dark blue blend with light blue highlights SOMBRE 7018.